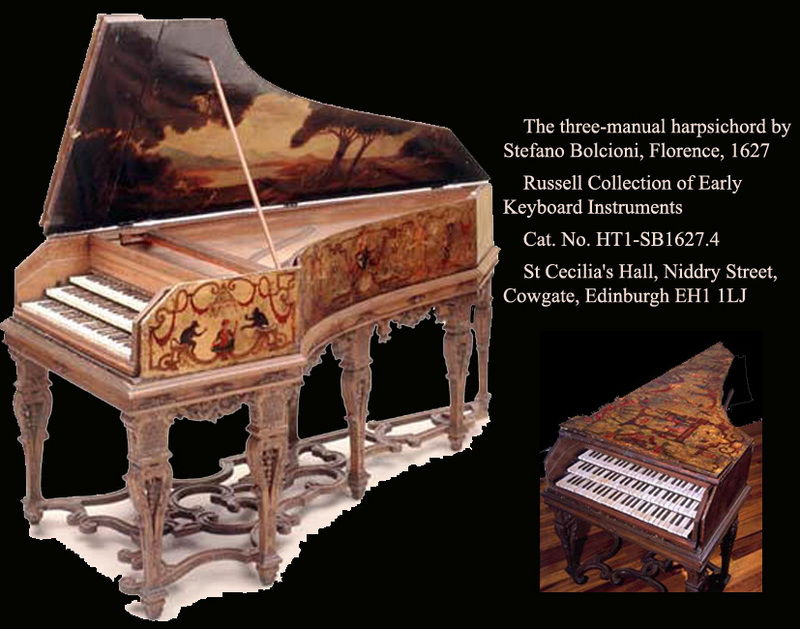 Triple-manual Italian harpsichord. Inner-outer case construction. Compass 52|notes C₂/E₂ – G₆ [C/E – g”’]. Three sets of strings, 2 × 8-ft, 1 × 4-ft (now removed). 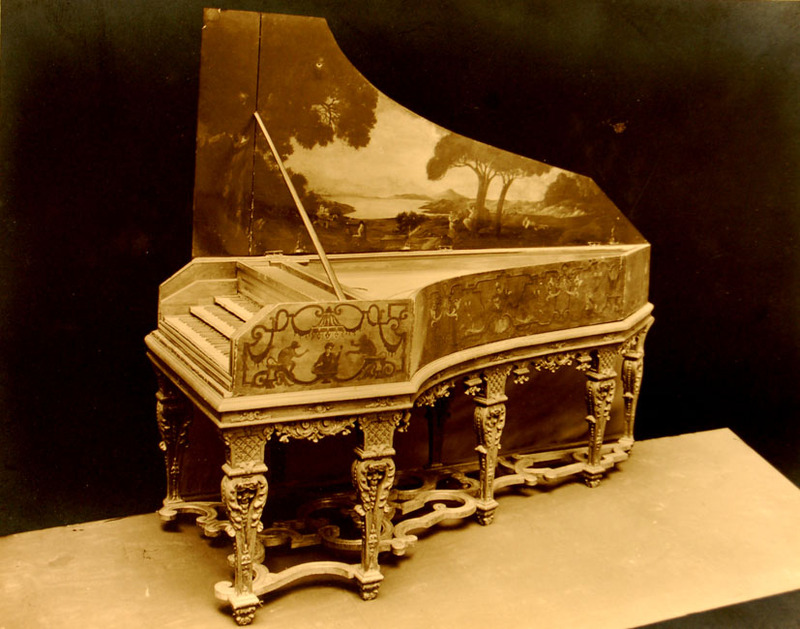 Repair History: Originally a single-manual harpsichord with 53|notes; [G₁, A₁] C₂/E₂ to C₆ with two natural keylevers below a normal broken octave (split D₂/F♯₂ and E₂/G♯₂), and then with split accidental keylevers. 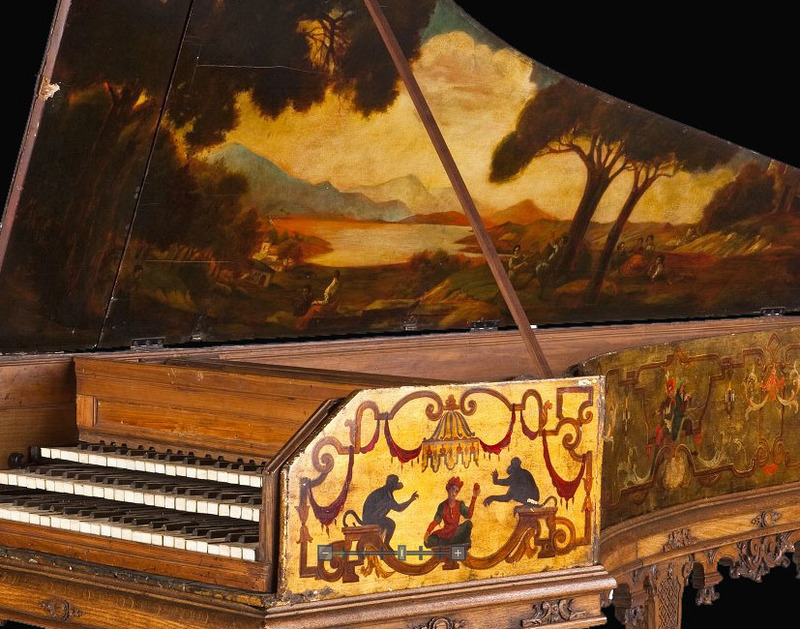 Converted by inserting three keyboards from another instrument by Leopold Franciolini circa 1895. Restored as a three manual instrument by A.N.|Masson in 1915 and M.|Asseman. 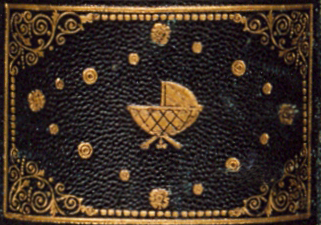 Purchased by Raymond Russell before 1956; ex- M. & A. Salomon, Paris, 1930; ex- L. Franciolini, Florence. ; Gift of Mrs Gilbert Russell, 1964.